I am a new member I just picked up a 2013 Mazda 6 and thought I would join the community. 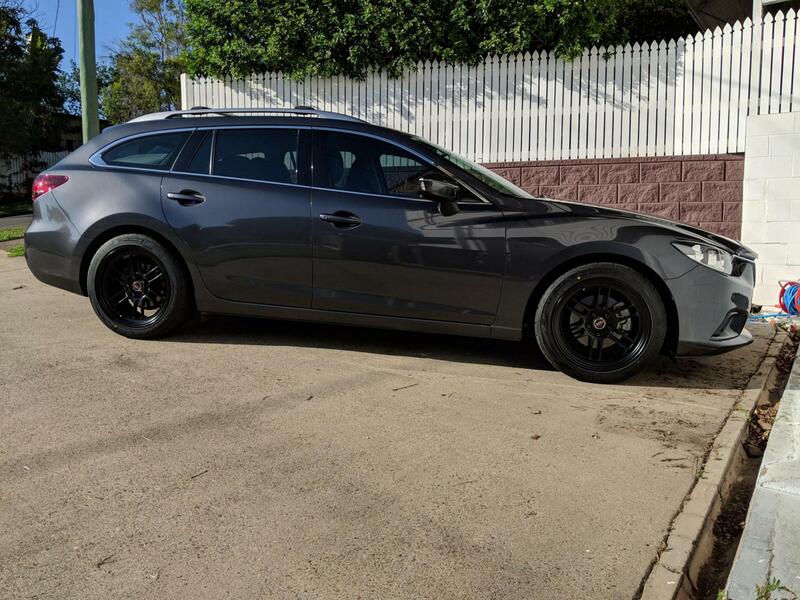 Its a family car but I will be doing some aesthetic mods along the way. Getting some enkei rpf1's put in a few days so will post pics once they are on. What code is the Australian model out of interest, I can't find anything concrete. I think i answered my own question, turns out its the GJ5FW for the 2.5 na engine from what I can see. Was looking to see if I had the right part number for some tein street advance coil overs - these ones GSMB0-91AS3. I am pretty sure it is now, anyway thanks! Congrats on your purchase and definitely show us some pics when you get the new shoes on! here is my car with the new wheels on it. i ended up going for enkei rpf1's in 18x9 +35. when I lower the car eventually i will need to add camber bolts up front and arms on the rear. The tyres are Bridgestone Potenza RE003 in 245 45 18. they are no less comfortable than the stock 225 55 17. the car came with super cheap rubbish tyres that were more or less new, i am very happy with the new tyres so far. a tiny bit more noisy but so much more positive and responsive. the new setup is about 1.8kgs per corner lighter than stock 17's. Very nice. They appear to stretch the 245's a bit... perhaps just the right amount. I've always liked the slightly "sinister" look of black, my favorite being satin black. Good job! Love the look!! Thanks for sharing.